*Snow in Tromso was hosted by Hamburg Marketing on this trip and all information for this post was provided by our guide Tomas, Hamburg Marketing and Hamburg Ahoi . 1. the Greater Hamburg Area has as many inhabitants as all of Norway? The Hamburg Metropolitan Region stretches from the North Sea to the Baltic Sea and is divided between the German states of Hamburg, Lower Saxony, Mecklenburg-Western Pomerania and Schleswig-Holstein. The area is home to around 5 million people, thus as many as there are people living in the whole country of Norway! 2. the border between Germany and Denmark ran across St. Pauli once? The borough of Altona in the city of Hamburg was part of Denmark between 1640 and 1864, thus the border between Germany and Denmark ran through St. Pauli for almost 2 centuries. You can still see the old demarcation line in the streets today if you look closely! 3. Hamburg has more bridges than Venice, Amsterdam and London together? Granted, a lot of the bridges you can find in Hamburg are actually signal bridges and included in the count but still, there are approximately 2500 bridges in the city which makes for quite an impressive amount! 4. the harbour of Hamburg is almost as big as Copenhagen? And that Copenhagen could fit into the city of Hamburg 8,5 times? Copenhagen stretches over 88kmÂ² which is quite an area in itself but nothing compared to Hamburg. The harbour of Hamburg alone is 74kmÂ² big, while the entire city stretches over an area of 755kmÂ². That means that Hamburg is actually bigger than Singapur - but only with about 1/3 of Singapur's population. Crazy, right?! 5. Hamburg has its own island in the North Sea? The island Neuwerk close to Cuxhaven is actually part of Hamburg, even though it's situated 100km west of the city! The city of Hamburg took over the rights to Neuwerk in 1299 in order to protect the Elbe river from pirates. Since then, the island has been part of Hamburg and its lighthouse is actually the oldest building on Germany's coast. 6. the neighbourhood with most stairs in the world can be found in Blankenese? 7. the Sternschanze district of Hamburg stems from an old sconce fortification? The fortification was built in 1682 outside of Hamburg. The district Sternschanze today is part of Altona and one of Hamburg's most popular nightlife districts. 8. 8% of the Hamburg area is covered with water? 61kmÂ² of the Hamburg area is actually water - whether it's the river Elbe or the Alster lakes - so you're never far from the waterfront! 9. the biggest river island in all of Europe can be found in Hamburg? The district of Wilhelmsburg south of Hamburg's city centre is actually situated on an island - the biggest river island of Europe! 10. the Alster is actually a river? The Alster is a 56km long tributary of the Elbe river, which forms two lakes in the city centre - the Outer Alster and the Inner Alster. Hamburg locals joke that they have two rivers: one for making money (the Elbe) and one for spending money - the Alster, as it's used for recreational purposes nowadays. 11. there were 3000 prostitutes working in the red light district of Hamburg once? And that prostitution even was allowed in Nazi Germany? 12. the newly built Elbphilharmonie has attracted more visitors than Neuschwanstein Castle in 2017? The new opera house of Hamburg has quickly become the new flagship of the city and is a beautiful symbol of uniting the modern with the past. As Hamburg citizens have participation rights in all matters concerning the city, 7 million Euros were donated by the public alone to build the new concert hall. 13. you can rent a bike in Hamburg for only 5â‚¬? The "Stadtrad" system allows you to rent a bike and cruise around Hamburg on a budget. Registration to rent a bike costs 5â‚¬ and the first 30 minutes of bike rental are free. Afterwards, you pay 8 cents per minute and a maximum of 12â‚¬ for the entire day. Bikes can be rented and returned at different stations throughout the city. 14. Hamburg has rolling libraries? There are 130 book stops in the greater Hamburg area with second-hand books in busses that are free for you to loan and even keep. And if you have a book you don't need anymore, you can leave it on one of the busses for others to enjoy later! 15. the biggest model railway of the world can be found in Hamburg? The Miniatur Wunderland of Hamburg not only features the biggest model railway of the world but also a miniature version of pretty much the entire world! 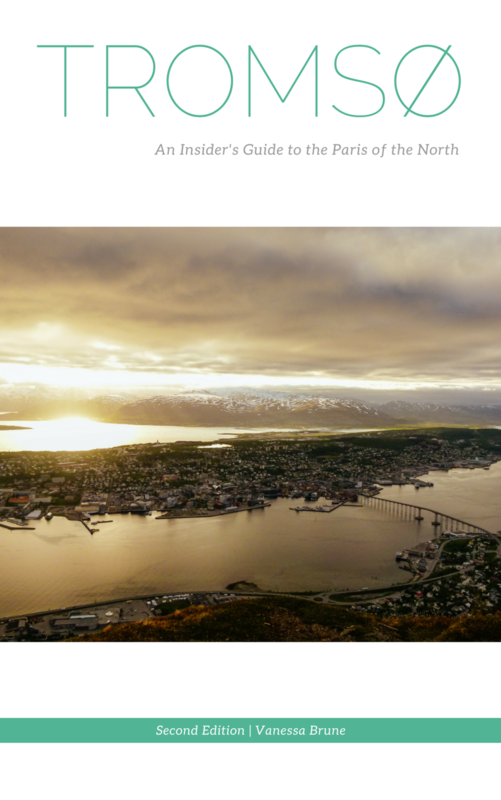 You can explore Hamburg, Italy and the Alps, Scandinavia (even TromsÃ¸! ), and the US all in one day at this miniature wonderland in the old warehouse district of Hamburg. Keep in mind, however, that this is one of the most visited attractions of the city so prepare to queue up more than once during your visit! Which fun fact about Hamburg surprised you most? Then read my about page and donâ€™t forget to follow along on Bloglovin!